For almost 2 decades, Todd Rexx aka T-Rexx has been a natural who quickly wins over any audience with his cunning wit, over the top impersonations and brilliant crowd interaction. His on stage antics, accompanied by his twisted imagination, create a comedic concoction that captivates audiences, literally leaving them rolling in the aisles, crying for more. If you’re in the market for a new generation comedian, then look no further! Todd is a true disciple of crossover comedy, who applies his sheer talent and genius to create an off center style of comedy comprised of a mixed bag of personal experience, everyday observations, and hypothetical situations to connect with any audience. Born in Long Branch, New Jersey, Todd was adopted at birth by a loving caucasian couple and immediately scurried to his new home in Cleveland Heights, Ohio, a multi-cultural artsy suburb of Cleveland. There he attended different schools and at each one, to the dismay of his parents, quickly established himself as the "class clown." When Todd was ten, he and his family moved to Silver Spring, Maryland, where he continued to “bless” classrooms with impersonations, sound effects, jokes, and comedic antics that not only classmates would laugh at, but teachers and staff as well. His classroom comedy continued through junior high, high school, and two years of junior college (basically 13th grade) where he studied television production. In 1992, after encouragement from friends and family, Todd finally brought his talents to the stage at The Comedy Café in Washington, D.C., and hasn’t looked back since. Todd prides himself with being able to connect with any audience presented to him. His multi-cultural background enables him to transcend barriers and truly entertain all. Todd’s comedic exploits have taken him to Europe, Japan, Canada, Mexico, U.S. Virgin Islands, as well as coast to coast nationally, touching almost every state in the union. He has worked with Jerry Seinfeld, David Allen Grier, Dave Attell, Jeffery Ross, Ray Romano, Chris Rock, Bernie Mac, Russell Peters, Dave Chappelle, Craig Robinson and Bill Burr. His comedic pursuits landed him his own headline gig, “The Todd Rexx Show” at the world famous Palms Casino Resort in Las Vegas, NV. Todd’s talents have not been limited to live performances, however. Todd has made numerous television appearances, including BET’s Comicview (1994-2005), Tonight Show with Jay Leno (1995), HBO’s Def Comedy Jam All-Stars, Comedy Factory (Netherlands), Raymond is Late (Netherlands), Rumbles (HDNet), Baggin’ (VH1). He has also appeared in such films as Premonitions (Latte Stone Films), NTV (Grifftyme Productions), I’ll Be Back (DeVry institute industrial film from Hope Productions), Love Jones (Newline Cinema), For the Love of Money (Pee-Air Productions), The Fear Chamber (Night Light Films). 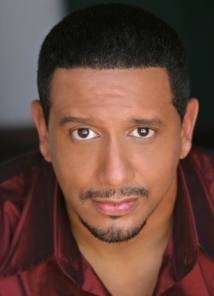 He is currently a card carrying member of the Screen Actors Guild as well as AFTRA. He also currently headlines shows globally. If you get the chance to see him live, do yourself a favor and do so.